Cat's Claw is an exciting discovery from the Peruvian rainforest. Also called Una de Gato, Cat's Claw has been used for hundreds of years by the native Ashanica Indians. It has been the subject of scientific research throughout the world since the 1970's and is considered one of the most exciting health-promoting herbs. Cat's Claw is a unique South American herb available in several different forms. 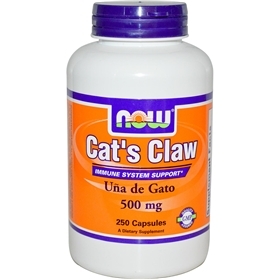 We have taken great care to provide only the highest quality pure inner bark of Peruvian Cat's Claw.